[Galaxy Tab A] How do I download and install applications? The Apps screen displays all applications installed on your device, both preloaded apps and apps you download and install yourself. Learn how to change the way apps appear, organize apps into folders, and uninstall or disable apps. The Apps screen shows all preloaded apps and apps that you downloaded. You can uninstall, disable, or hide apps from view. Shortcuts to apps can be placed on any of the Home screens. 2 Touch an application’s icon to launch it. 3 To return to the main Home screen, press the Home key. Find new apps to download and install on your device. • Google Play Store: Download new apps from the Google Play store. Visit play.google.com/store/apps to learn more. • GALAXY Apps: View and download Samsung apps that are optimized for use with GALAXY devices. 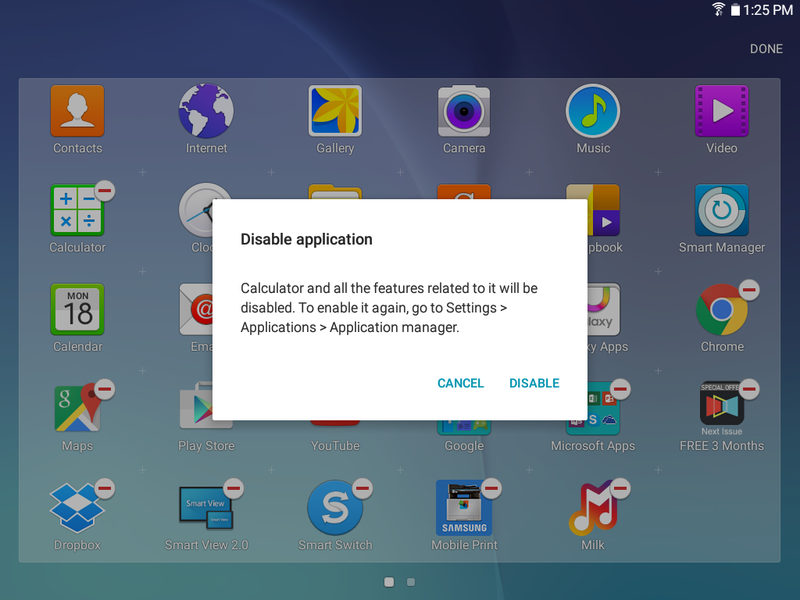 You can uninstall or disable apps you download and install. • Preloaded apps cannot be uninstalled. • Apps that are disabled are turned off and hidden from view. 2 Touch EDIT. Apps that can be uninstalled or disabled show Uninstall/Disable on their icon. 3 Touch Uninstall/Disable and follow the prompts to either uninstall or disable the app. The Apps icons can be organized in folders and rearranged in your own custom order. 4 Touch DONE when finished. 1 From a Home screen, touch Apps > EDIT. 2 Touch and hold an app icon and drag it on top of another app icon until a highlighted box appears. 3 Release the app icon to create the folder. • Touch Enter folder name to name the folder. • Touch the Palette icon to change the color (if desired). 4 Touch anywhere outside of the folder to close it. • To add more apps, touch an hold an app icon and drag it to the folder. 5 Touch DONE when you are finished. [Galaxy Tab A] How do I add additional user accounts to use the device? 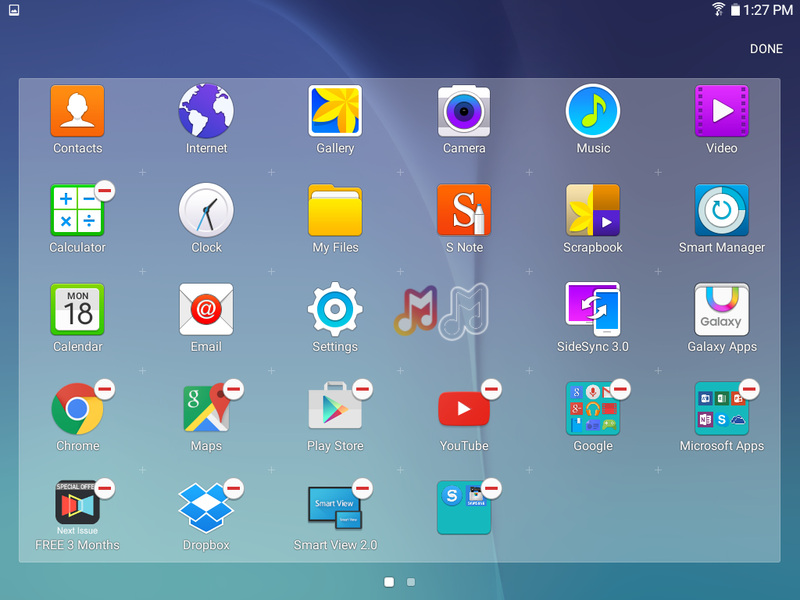 [Galaxy Tab A] How do I adjust the home screen including app shortcuts and widgets? [Galaxy Tab A] How do I set the date and time?